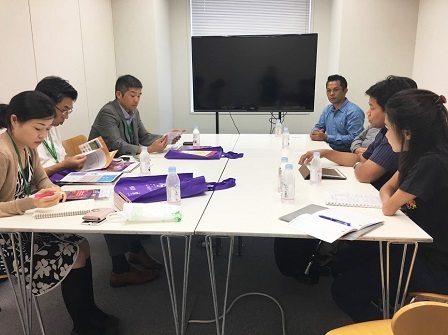 The Asia-Pacific Development Center on Disability (APCD) met with partners in Japan from 27 to 31 August 2017 to discuss current and future projects and activities, including the ASEAN Hometown Improvement Project. The APCD team met with the officers of The Nippon Foundation, its partner in the first ever 'Disability-Inclusive Drum Performance in ASEAN and Japan' held in Bangkok, Thailand on 2 to 3 June 2017. It also visited the offices of the Nippon Taiko Foundation as a follow-up to the activities of the Fugaku Taiko Drum Group, which performed in the pioneering drum event. Other meetings were held at the offices of the Sasakawa Peace Foundation, Thai Yamazaki headquarters, Japan Autism Association, Hachiouji Independent Living Center, and the Tamana Company and Chiba Farms in Chiba Prefecture, among others. 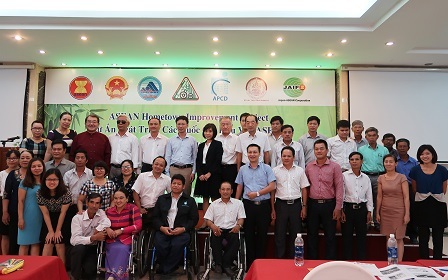 The APCD held a series of meetings with project partners and stakeholders in Hanoi and Da Nang in Vietnam from 28 to 30 August 2017 to update everyone on the status of ongoing projects. Apart from meeting with officials of the Ministry of Labour-Invalids and Social Affairs (MOLISA), the APCD also visited the Vietnam Autism Network offices to discuss the upcoming Disability-Inclusive Sports (DIS) for persons with autism and their parents and made home visits to potential athletes with autism to take part in the DIS. 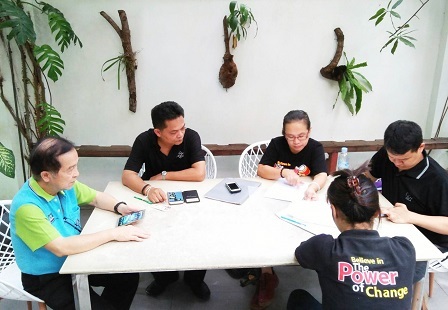 Team members also conducted follow-up meetings with the deaf drum performers of the 'Disability-Inclusive Drum Performance in ASEAN and Japan', as well as with the Bamboo Dana Ltd. team for the ASEAN Hometown Improvement Project. It also made a courtesy call to the Royal Thai Embassy in Vietnam. Exploratory meetings for APCD's ASEAN Hometown Improvement Project were conducted in Manila, Philippines from 22 to 24 August 2017 with the SM Group of Companies, the Department of Social Welfare and Development (DSWD) and the National Council on Disability Affairs (NCDA) in a bid to find potential pilot sites for the said disability-inclusive project involving persons with disabilities, the business sector and local government units. 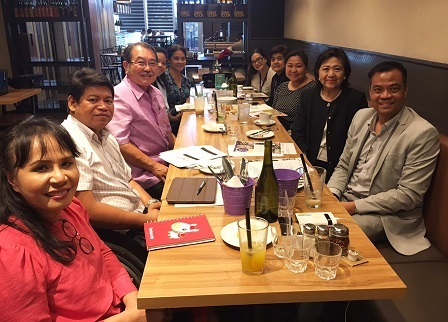 The APCD also met with the officials of the Autism Society Philippines to update them about the DIS and Third Country Training Programme 2017 to be held in Bangkok, Thailand in October 2017. The team also conducted a courtesy call to the Mandaluyong City Hall officials and follow-up discussions as to the activities of the Mandaluyong Children with Disabilities Drum & Lyre Band, one of the participants of the 'Disability-Inclusive Drum Performance in ASEAN and Japan'. In order to get more information about potential targets of the ASEAN Hometown Improvement Project, an APCD team was dispatched to Jakarta, Indonesia from 16 to 19 August 2017. The team visited several offices and companies, including the Ministry of Social Affairs of Indonesia, the Center for Small-Scale Industries, and non-profit organizations that give livelihood training and opportunities for persons with disabilities. The team also conducted follow-up meetings with the Puser Bumi members who took part in the 'Disability-Inclusive Drum Performance in ASEAN and Japan', and visited a special school for students with autism and intellectual disabilities. With the DIS and TCTP 2017 coming up in October 2017, the APCD sent a team to Myanmar to have follow-up discussions with the officials of the Department of Social Welfare of the Ministry of Social Welfare, Relief and Resettlement of Myanmar and the Myanmar Autism Association, especially with regard to potential participants of the said APCD activities. It also held meetings with officials of Disability-Inclusive Business Initiatives, the Myanmar Independent Living Initiative and owners of disability-inclusive businesses to exchange information about the APCD's ASEAN Hometown Improvement Project. The team also paid a courtesy call to H.E. Mr. Jukr Boon-Long, Ambassador Extraordinary and Plenipotentiary of the Royal Thai Embassy to Myanmar. To kick off the implementation of the ASEAN Hometown Improvement Project funded by the Japan-ASEAN Integration Fund (JAIF), the APCD conducted a workshop for farmers and other stakeholders in Da Nang, Vietnam on 8 to 9 August 2017. The workshop was aimed at building capacities of local stakeholders in the branding of bamboo products by persons with disabilities. The APCD invited two Japanese bamboo experts, Mr. Koji Koga and Mr. Hiroyuki Ohashi, as facilitators and resource persons. The APCD also did film documentation of the Viet Nam Deaf Association Deaf Drummers Group members, as a follow-up activity to the 'Disability-Inclusive Drum Performance in ASEAN and Japan'. A series of meetings and discussions also happened between APCD and officials of MOLISA, Department of Labour - Invalids and Social Affairs (DOLISA) of Da Nang, Da Nang People's Committee, Bamboo Dana Co. Ltd., Blind Association of Da Nang, and other partners and stakeholders. Farm visits were also conducted to learn more about the farmers' needs and goals in line with the ASEAN Hometown Improvement Project. As preparation for APCD's TCTP 2017 and DIS activities, an APCD team went to Phnom Penh, Cambodia on 9 to 11 August 2017 to discuss potential participants with partners and stakeholders. Brainstorming sessions and interaction with potential participants for TCTP 2017 were held by the team in cooperation with partners. Follow-up interviews were also held with the Skor Chhaiyam drum performers with disabilities, and a courtesy call made to the Royal Thai Embassy in Phnom Penh. Japan International Cooperation Agency (JICA) Vice President for Human Security and Global Health, Dr. Takao Toda, visited the APCD on 17 August 2017 to learn more about recent APCD's activities and projects, including updates about the 60 Plus+ Bakery & Cafe Project. Dr. Toda also visited the 60 Plus+ Bakery & Cafe and exchanged information with bakery staff and trainees with diverse disabilities. 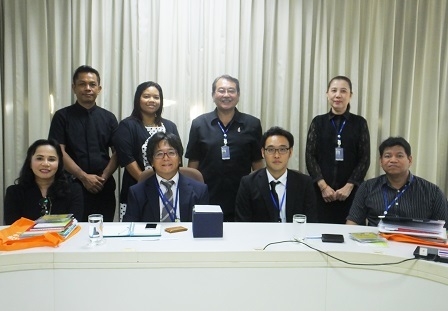 The APCD welcomed officials from the Embassy of Japan in Thailand on 2 August 2017 for the official introduction of its new First Secretary, Mr. Giochiro Kimura. Outgoing First Secretary Mr. Keisuke Karaki thanked the APCD for the close collaboration during his term. The two officials were also given a tour of APCD Traning Building's accessible facilities and the 60 Plus+ Bakery & Cafe. 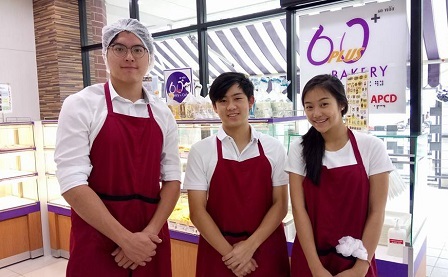 Three volunteer interns successfully completed their work at the APCD's 60 Plus+ Bakery & Cafe from 7 to 15 August 2017. Ms. Natsha Taechamonkalapiwat, Mr. Kmik Karnasuta and Mr. Tachapon Kittichaiwong assisted staff and trainees with disabilities at the bakery during their stint. They shared their experiences and valuable insights to APCD and received their certificates of completion and appreciation in a meeting at the end of their volunteer work.